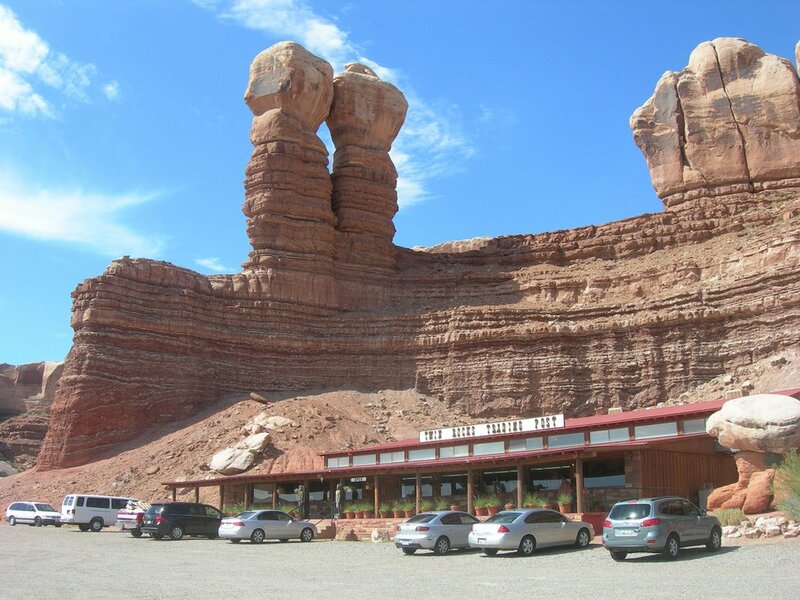 Is southern Utah’s historic Bluff ready to become a town, a really BIG town? Residents are voting on incorporation, which backers say will help the tiny southeast Utah town guide change — but at what cost? (Tribune file photo) Balloonists float over Bluff, whose residents are voting on whether to incorporate. The tiny historic southeast Utah town on the San Juan River is bracing for change as more tourists visit the public lands now protected in Bears Ears National Monument. Settled by Mormon pioneers in 1880 and inhabited centuries earlier by Ancestral Puebloans, Bluff is the oldest community in southeast Utah. Next week, Bluff residents will decide whether to become Utah’s newest town as they mail in votes on a proposed incorporation covering a sprawling area along the north bank of the San Juan River and U.S. Highway 191. While backers say incorporating is the best way to ensure residents’ ability to guide future growth, others doubt another layer of government can be built without raising taxes on the 265-plus souls who live in this gateway to the new Bears Ears National Monument. “I am 100 percent in favor of being in control of our destiny, but I’m 100 percent opposed to doing something without the money to do it,” said Marx Powell, a longtime Bluff businessman who heads the local water board. He believes the proposed 38-square-mile footprint is too big and a new town government could result in tax hikes that many residents cannot afford. Other business leaders believe incorporation would be worth the costs and set the town on a path of prosperity. Jimmy Emerson | Courtesy Twin Rocks Trading Post in Bluff. San Juan County is among the poorest counties in the United States, but Bluff’s future appears to be diverging from the rest of the county that has long depended on ranching and traditional extractive industries. The historic town has become a magnet for outdoor tourism and new residents drawn to the region’s wide-open beauty, steeped in Native American prehistory and pioneer heritage. Bluff would have been the heart of San Juan County but for the namesake river’s fickle nature. Powered by floodwaters, the San Juan’s channel often shifted course within a flood plain that was rendered impossible to reliably farm before upstream dams tamed the river’s flow. Accordingly, Blanding, 26 miles to the north, became the county’s population center. Today, Bluff is out of step with the county on a number of issues, particularly when it comes to public lands and the national monument, which many residents embrace while county leaders clamor for its recision. If residents vote to incorporate, they will return to the polls in June to seat a mayor and four Town Council members. They would also hire a clerk and treasurer. Blanding’s predominantly Mormon residents, meanwhile, are voting on whether to lift a ban on alcohol sales. In some ways that vote is seen as a referendum on whether to make Blanding more welcoming to tourists. (Tribune file photo) Locomotive Rock looms above the historic Bluff Cemetery. It may be southeast Utah’s oldest pioneer settlement, but it is not incorporated. That could change this week as Bluff’s 265 residents cast their votes on a proposal to form a town government. Bluff did see a brief period of incorporation 41 years ago. According to the San Juan Record, citizens successfully petitioned the San Juan County Commission to incorporate Bluff in 1976. The new Town Council’s first order of business was developing a sewer system, but it failed to make much progress and residents voted to disincorporate in 1978. Thirty-nine years later, the town is still on septic systems, posing an obstacle to future growth and forcing Bluff Elementary School to look for a new site because the soils at its current location in the heart of town can no longer adequately absorb effluent. To qualify for the ballot, the proposed incorporation passed a feasibility analysis, which was released by the Utah lieutenant governor in June. Conducted by Bonneville Research, it found that the $129,000 cost of running a town matched what Bluff could take in from various sources, not including a potential resort tax aimed at tourists. Incorporation critics, led by San Juan County Administrator Kelly Pehrson, dispute that finding, arguing it underestimates the cost of law enforcement and road maintenance, essential services the county currently provides. Bonneville principal Bob Springmeyer has defended the accuracy of the Bluff analysis. It also notes that incorporation would qualify Bluff to tap new funding sources, such as federal grants and a resort sales taxes that could reap up to $72,000. Critics also question the proposed incorporation’s sprawling 38-square-mile footprint, which extends several miles on either side to the town’s historic core at Cottonwood Wash north of the San Juan River, severely dwarfing the two-square-mile Bluff Service Area. It would stretch from Comb Ridge east to the Bluff Bench, encompassing 25 businesses that employ 167 workers. Most of this area is federal and state trust lands. “The mass of the area has nothing to do with the town,” Powell said. By comparison, the much larger communities of Monticello and Blanding are 4.5 and 11 square miles, respectively. The large footprint is needed to empower the town to regulate development along the highway corridor. Simpson says Bluff residents have been tapped out serving on various volunteer boards. He agrees it is time to pay them. The small size of a Bluff incorporation would not be that unusual for Utah, where, according to the Bluff Service Area website, 68 of its about 240 towns have less than 500 residents. Recent incorporations include Cedar Highlands in Iron County and Dutch John, with 150 residents, in Daggett County. Bluff is roughly the size of Torrey, a historic ranching town that is now an artsy enclave catering to tourism outside Capitol Reef National Park. The Bluff debate appears to have caused a divide. Old-timers like Powell tend to oppose incorporation.